Reading can be fun; reading can be powerful, and it can truly influence your life. For that to happen one must find a genre which appeals to their senses. Reading shouldn’t be seen as an activity that you “must” do; it should be an enjoyable, pleasurable endeavor from which you can actually learn something. Whether you have a thing for the business world and your dream is to make a million dollars someday or you’d rather put your creativity to the test and give fiction a try, the idea is to enjoy the experience. Let the words take shape and engage in active reading for your chosen book to have value. Here are 10 amazing titles that might completely change your current perspective on life. “Outliers” is superb book that teaches readers that there’s more to success than just hard work and a high IQ. Believe it or not, the world’s most successful people didn’t become rich because they were the smartest. Some got to the top because they knew how to work with people that were smarter than them; others were extremely disciplined, and only a very small amount was lucky to hit the jackpot. Now it’s the time to take charge of your life, but without sacrificing your own integrity to achieve greatness. 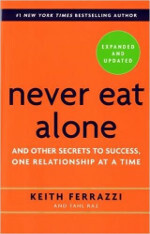 “Never Eat Alone” teaches readers about the importance of connecting with people; a must-read for those struggling to cope with today’s tumultuous economy. Carnegie’s book is all about using our emotional intelligence to our advantage. Human relations can be incredibly productive; however, we must learn to foster those relations and adapt them to our lifestyles. We all want to have friends and we all want people to like us, don’t we? Sometimes that may be difficult to attain, and this is where this book comes in. It will teach you everything there to know about influencing people without forcing them to like you. What’s truly interesting about our daily habits is that once we have them we start ignoring them. 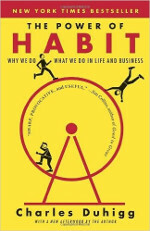 “The Power of Habit” tries to help readers give up bad habits that are detrimental to their lifestyle. It also helps keep the good ones and use them to make their personal and professional lives become thriving and more successful. “Cosmos” will make you re-think your purpose and position in this universe. It is a book for deep thinkers who like to questions everything. Sagan emphasizes that even if we’ve come a long way as a species, we still have so many things to learn about us, as humans, and about our surroundings environment. A visionary book that’s truly inspiring to read! Written nearly 1800 years ago, Marcus Aurelius’s “Meditations” is a book about the reflection of a person as a human being from warrior to emperor. Even though it emphasizes on the personality and mind of a 2nd century Roman, most of the principles still apply today. How can people detach themselves from death, pain and loss? How do we move on without letting our past destroy our present, and inevitably our future? 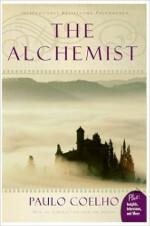 “The Alchemist” is a life-changing book; it is about expanding your mind and understanding that active listening to your thoughts and heart can help you recognize opportunities and follow your dreams. Those of you who want to know more about how to embrace a healthy lifestyle should definitely check out “The China Study”. The book is backed up by solid research, and it will surely convince you that there’s more to healthy weight-loss than just proper food. Some of the guidelines in the books are rather unusual. In order to be happy we should do things in life that we actually enjoy. This is exactly what “Flow” is all about. Satisfaction comes within our souls, and when something clicks, it means that we’re meant to do it. Let’s just “go with the flow” and enjoy life! Covey’s best seller is a classic. The book is min-blowing because it makes the principles seem credible. Each and every one of the habits presented is designed to appeal to a different set of individuals. Which of the 7 appeal to you most? By Edward Francis and LoveReading.co.uk! Did you know we host a year-round Nonfiction Book Awards program? Check it out!